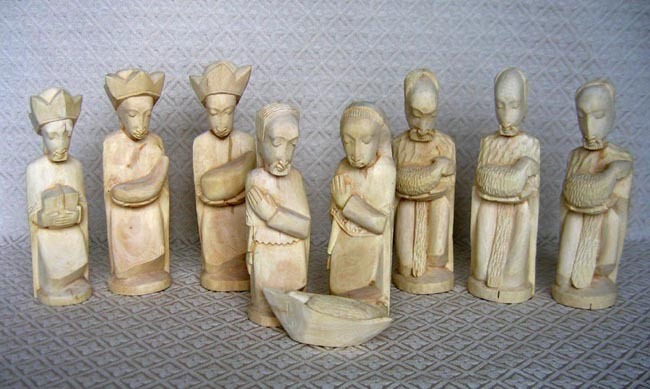 This Nativity set from Zambia is carved from unstained, light jacaranda wood. The set contains Joseph, Mary, baby Jesus, three shepherds with sheep, and three kings with gifts. An acquaintance found this set in an open market while traveling in Zambia. Nothing is known about the artisan. The tallest wise man measures 7.75 inches high.